Nothing can give you the creepy crawlies quicker than finding a tick crawling on your body or finding one crawling on your dog. Suddenly it can feel like they are crawling all over your body. Not only is finding one crawling around bad, it is even worst finding one that is attached to yourself or your dog. I am going to explain how to remove ticks on dogs, where to look for ticks on your dog, how to prevent ticks and where are those little buggers are coming from. Anytime the temperature is above freezing, your dog can run the risk of a tick finding your dog, but ticks are most prevalent in Spring and Summer, and in most cases start slowing down towards Fall. Their favorite places to hang out is on tall grasses, brush, woods and shrubs. They also like shady and moist areas, closer to ground level. Most ticks will be between 18″ to 24″ off the ground, waiting for their next meal to walk by. They tend to gravitate to animals trails, where their luck of finding a host is the best. But don’t be fooled into thinking that is the only area you will find ticks. They also live in lawns and gardens, especially if they are near the edge of woods. Ticks don’t actually fly, they will jump onto your dog as your dog passes by them. When your dog comes back inside, it is always a good practice to search for ticks that might have climbed onto your dog. Run your hands through your dogs fur and if you feel any bumps, spread your dog’s fur apart to see if it is a tick. Make sure to completely check him over, especially in areas that ticks like to go. Take a look at the diagram below for reference. Using a metal comb on your dog is also a good tool to help you find ticks on your dog. Make sure you are getting all the way down to your dog’s skin when combing them. If a tick attaches them self to your dog, it is important to get it removed as quickly as possible. Many ticks will carry bacteria or diseases that are harmful to your dog. It does take a few hours for a tick to get fully attached to your dog’s body, so the quicker you remove the tick, the better. The most recommended method to use for removing an attached tick, is using tweezers. This might not be the type of tweezers that you generally have at home. You need a fine point tweezers to avoid tearing the tick. Tearing the tick could spread possible infections. Spread your dog’s fur, and grasp the tick as close to the skin as possible. Very gently, pull straight upward in a slow steady motion. Dispose of the tick. If you have concerns, you can attach the tick to a postcard and cover with scotch tape to save if your dog later has any problems. That way you can give it to your veterinarian if your dog later develops problems for the tick to be tested. Clean the bite area on your dog with rubbing alcohol. Check the bite area daily to make sure it is healing. Yes, there is actually a tool developed for removing ticks. Press the remover against your dog’s skin near the tick. Slide the notch of the remover under the tick. Pull is free gently with a slow steady motion. Check the bite area daily to make sure it is healing properly. I recommend TickEase Tick Removal. It has a dual tip. One side is a fine tip tweezers for removing ticks on dogs or humans, and the other side is a slotted scoop that is designed to quickly and easily remove ticks. Avoid squeezing the tick too tight. You don’t want to pop the tick and have it oozing out. This could cause your dog to get an infection in the bite area. When you are removing a tick from your dog, you want to avoid not getting out the entire tick. That is why it is recommended to pull slow and steady and to grasp the tick as close to your dog’s skin as possible. If you are unable to get the tick out in its entirety, do not dig out any part that is left in your dog. This will increase the risk of skin infections. Let nature take its course. Your dog’s immune system will close off the area and start working on rejecting it from their body. Apply an antibiotic ointment to the area daily until it is healed, and keep an eye on it to make sure it doesn’t get inflamed. If it doesn’t show signs of healing within a few days, you should contact your veterinarian. It is important that you are using some type of prevention against ticks, and that means even if you live in the city, since ticks can be found in the lawn. The risks are too great that at some point a tick will attach itself to your dog and you run the risk of your dog getting Lyme Disease. Dogs that get bit also run the risk that they develop skin irritations and left untreated can work themselves into hot spots. It is best that you do whatever possible to prevent your dog from having issues with ticks. There are several different options when it comes to tick prevention. You can use a topical application, collars, chewables and shampoos are the most common preventions used. Whichever type you choose, make sure your are consistent using the product and don’t miss when the next application is required. I personally use a collar for tick prevention. For years, I was using Frontline to protect my dogs. A big problem that I had with Frontline, was that my dogs would each come into the house with at least 30 ticks crawling around on them, they would get all over the house and on us. Frontline is only effective when the tick actually attempts to bite your dog. It does nothing to keep them from going on your dog. A few years ago, I switched to using a Scalibor Collar on them, and the difference was amazing. It is very rarely that I ever find a tick crawling on my dog, nor are they in my home. This collar does the best job I have experienced of not even find ticks on my dog. You can read a complete review of the Scalibor Collar here if you would like more information. Buying it here from Amazon is less expensive then purchasing from your veterinarian. There is also shampoo to help you with your tick protection. They will help prevent your dog from getting ticks generally for up to 2 weeks. They will kill ticks that are on your dog as well. Be prepared that if your dog has lots of ticks on his body, that you will find many dead ticks lying around your home. I recommend Adams Flea & Tick Cleansing Shampoo. It works great for protecting your dog from ticks, killing ticks on their body and has a nice fresh scent. It comes in a 12 ounce size, but if you are going to need a lot more, you might want to take a look at purchasing the gallon size. They have a spray as well that can be sprayed directly on your dog and it even helps with mosquitoes. 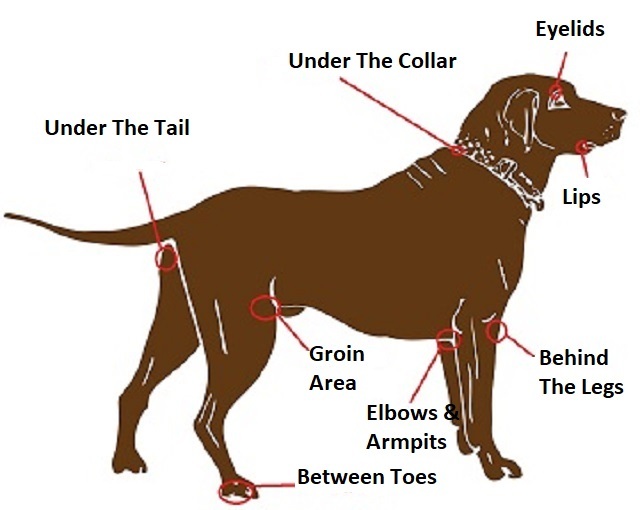 American Dog Tick – These are also known as wood ticks. They are found in most of the United States, with their highest concentration being east of the Rocky Mountains. Blacklegged Tick – Or the Deer Tick. This is the tick that causes Lyme Disease. Brown Dog Tick – This tick can be found around the world, but most usually in warmer climates. 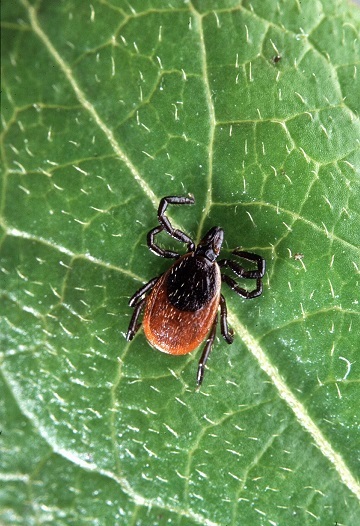 Lone Star Tick – Found in most of the Eastern United States and Mexico. If you have a dog, it is important that you learn how to remove ticks on dogs safely and that you have the proper tools for removing ticks. The sooner you can get the ticks removed from your dog, the lower the risk of your dog getting an infection from the tick. I know that removing ticks from your dog might be stressful or a bit gross, I used to freak out when I had to remove ticks. I have toughened up on that, because I don’t want my dog getting sick from a tick that is attached to him. If you have any questions or comments, please leave them below. You can follow justforyourdog.com on Pinterest, Twitter or FaceBook for all the latest in dog updates. Hi there. 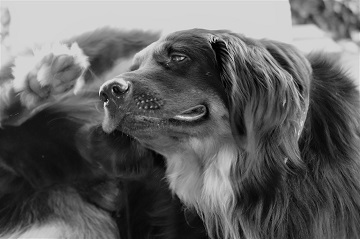 Thanks to you for writing this great, informative and educative post about Dogs and Ticks. I really learnt a lot from this post today. Your really doing a great job. I have a dog and my parents have two. The diagram that show where these Ticks are very helpful too. I’m definitely going to send them this post later in the day. Thanks for sharing. Thanks for reading Alex, and I am glad you found some value from my article. It is can be a real hassle looking your dog over for ticks after they have been outside, but it is important for their health and I don’t like finding the ticks that manage to crawl off my dog being found around my house or on me either, so it is well worth checking them over. Thank you, Marla, for this very helpful info. This will definitely help a lot of dog owners who have experienced this issue and prepare others when the problem arises with their own pets. Great advice to keep the tick in case the dog gets sick after removal of the tick. We have a dog and, so far, have not had a problem with ticks but it would probably be a good idea to be prepared and have a good pair of tweezers on hand if the situation should ever arise. You mention “Lime Disease”. I have heard a couple of stories in the news lately about people who have experienced unusual symptoms for a considerable time and the doctors couldn’t figure out what was causing them. Then they would discover that it was this disease and they were able to treat it. It’s not a nice thing to have, dog or human, so checking for ticks becomes even more appropriate and doing whatever one can to avoid them is also a good idea. Getting grossed out by removing a tick certainly can’t be any worse than using a poop bag to scoop poop the first time. The more you do it, the more normal it becomes. Is it just in warmer climates that ticks are more prevalent or can they also be found in cooler climates as well? I live on the west coast of Canada where it’s cooler and wetter, should I still be looking out for these critters? Thaks again for this great info. I’m sure it will come in handy at some point. Thank you for reading Wayne, and for giving me a laugh. I enjoyed you removing the tick to picking up your dog’s poop pile. Everytime you do it, it gets easier to do. Ticks are actually in cooler climates as well. I live in Wisconsin, and we have a large number of ticks here. There are areas that seem to be worst for ticks than other areas. In my experience, there are river valleys where I live that the ticks are very dense in, wooded areas and also long grass are the worst areas. Ticks to seem to be more attracted to ligher colors. An example would be that I have a blonde Golden Retriever and until recently also had a red Golden Retriever. The blonde Golden Retriever would always get more ticks than the red Golden Retriever. Even when they were going in the exact same area. The same is true for you if you are out in the wild. Wear a dark clothing and you will end up with less ticks than someone wearing white. Lyme Disease can be quite serious, and it is something that is hard to pinpoint if that is what you have. So many of the symptoms of Lyme Disease are the same symptoms for so many other diseases. It seems someone is finally diagnosed with Lyme Disease when everything else is ruled out. Thank you so much for the wonderful steps ,they are really educative and eye opening. Preventing the tick for me has not been really easy,tho I make use of Shampoo and from what I read about the Scalibor Collar, am going to give it a try. Lastly keeping my puppy indoor always and isolating her from other dogs should be able to help me prevent tick,what do you feel ? Is the idea cool?? Thank you for reading my article. I don’t think keeping your puppy indoors will keep your puppy happy. Most dogs like to be outdoors and exploring. It is better to use some type of prevention of ticks like the Scalibor Collar. I live in an area that has lots of ticks, I have a Golden Retriever that loves exploring and running around in the long grass. With the Scalibor Collar, it is very rarely that I find any ticks on my dog, and I am not finding the ticks crawling around my home or crawling on me. It is the best prevention that I have found, but don’t make your puppy stay indoors because of the ticks. Just check them over when they come back inside.